Super Smash Bros. and Kirby creator Masahiro Sakurai was featured in an interview published on the latest EDGE magazine (January 2019, issue 327). In the interview, Sakurai-san explained that one of the main drivers to keep making games (his career began almost thirty years ago) is watching exceptional titles like Marvel’s Spider-Man and Red Dead Redemption 2 enter the market. He added that it’s hard to make such games in Japan. There are several things, but one of them is realising how truly impressive recent games are. I’ve recently played games such as Marvel’s Spider-Man and Red Dead Redemption 2, and I have to take my hat off to the sheer scale and detail in these games. As someone who creates games myself, I really do understand the extraordinary amount of effort that is required to make them. It’s definitely difficult to create games like that here in Japan. But of course once they are out there, users will come to expect such a standard. That’s why I think that we need to work hard too. That aside, Smash Bros is something quite special. I don’t think I could ever feel I was working too hard, as long as I am borrowing from all these game series and characters with such histories behind them. 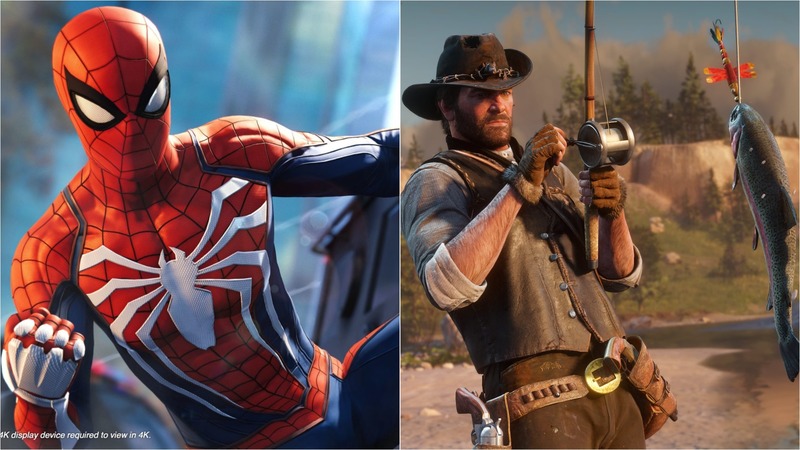 Marvel’s Spider-Man and Red Dead Redemption 2 are undoubtedly among the best games that have been released this year and will surely feature in several Game of the Year lists. Both of them sold extremely well, with Rockstar’s title in particular setting a new record for the best weekend launch ever recorded for an entertainment product. That said, Sakurai’s Super Smash Bros. Ultimate, due to release tomorrow on the Nintendo Switch console, is also expected to be received positively by critics and fans alike. According to our resident fighting game and Nintendo expert, Dave Aubrey, it might turn out to be the best entry in the long-standing Super Smash Bros. franchise yet. Look forward to our review soon.